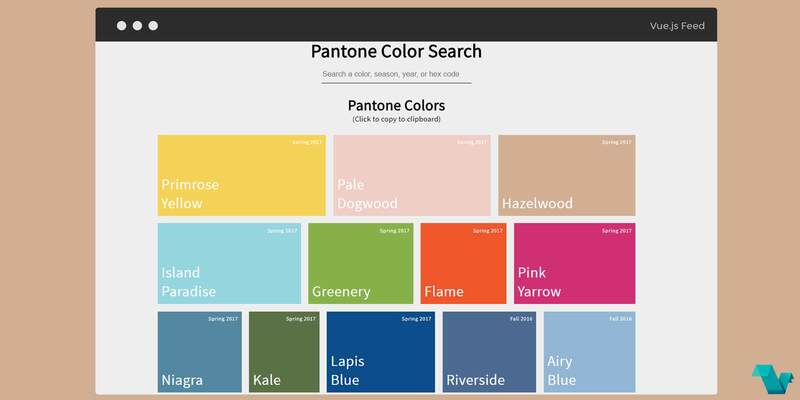 A small but pretty app where you can search through an array of colors by name, HEX code, season or year, and copy to your clipboard the chosen color by clicking on it, all powered by Vue.js. Take a look below to the pen to see how you can use Vue to copy stuff to the clipboard. Clipboard.js is a modern approach to copy text to clipboard and in this example is used via events triggered when the user clicks on a color. A pen by Mike Weaver.